Ever wondered about the magic of indigo? Wanted to try your hand at dyeing? Here's your chance! 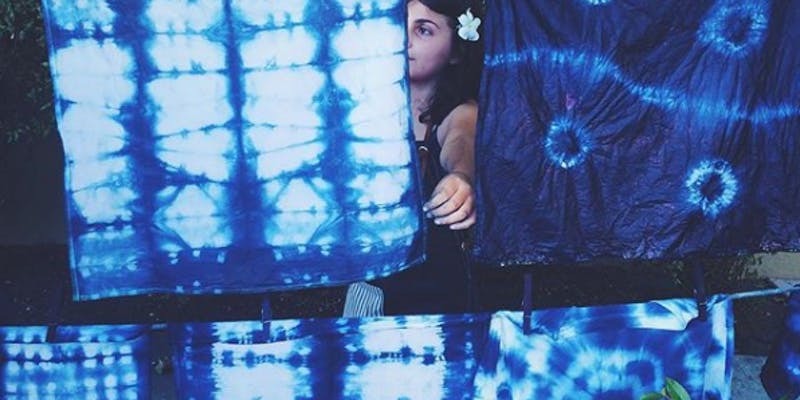 In this class, you'll learn about how to make an indigo vat, how to tie up the cloth for pretty patterning, shibori (Japanese tie-dye technique) and how to care for your dyed things. Please bring items you want to dye! Bring small to medium sized items such as t-shirts, pillowcases, jeans, etc. The items should have less than 50% synthetic content. Dyeing with indigo is a great way to upcycle and refresh your wardrobe, so get creative! Some materials will be provided, including scrap fabric to play with designs and a few wearable items. Wear something you don't mind getting stained. Bring an apron and rubber gloves if you have them. Hope to dye with you!